No human wants to look a day older than his/her chronological age; but if you don’t shield your body from ill habits you can look way older than you actually are. 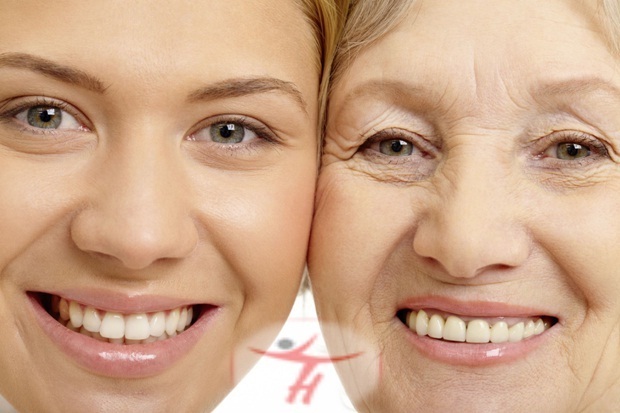 Also there has been a growing interest in anti-aging practices throughout the globe; life preservation is a technical term to anti-aging meaning either reducing or reversing the aging process. Increase your metabolic activities – Aging can be as a result of reduced metabolism in your body, thus you should be active in day to day life; participate in activities that help in burning fat. Morning exercise before breakfast is considered to be the best remedy as your body consumes all carbohydrates before you wake up and thus is forced to generate energy at the expense of fat. Maintain a healthy heart- Your heart is the blood pumping unit and it loses strength with age. To keep the heart beating at a nominal rate you should spend some time doing aerobic exercise and maintain a healthy diet avoiding cheese, butter or any fried items. A proper diet will also reduce the chances of blockage in your circulatory system. Keep your mind fit- An idle mind is home to monstrous ideas and more than that it makes you look older than you are; you should always keep your mind engaged in anything you like. Depression is also a consequence of an idle mind; playing games, actively participating in social services/games, writing, reading or just simple problem solving keeps your brain nerves active and safeguards you from boredom as well. Stay Flexible- Stiffness is yet another factor that makes you feel old. Remaining flexible is one main point in any anti-aging program. Anti aging creams- Numerous products are available in market that helps you look younger; they aren’t expensive but should be used only after a doctor’s referral; choosing any random cream can cause skin burn. Today pollution makes it necessary to shield your body with such creams. Think positive- Physics, chemistry and biology; all can be controlled by the way you perceive things. You should be impartial in judging yourself and know yourself better than anybody else. Staying happy will keep you mind happy and lower the aging effect. Homely help- Different homemade face packs can be applied on your skin to avoid wrinkles, dark spots or to hide any aging effect. Some best known packs being egg pack, yogurt pack, banana pack with rose water or coconut pack; detailed procedure can be found with one click on the internet. Consume anti-inflammatory compounds – including spices like turmeric and cayenne in your diet will help your skin glow. These spices can be consumed with almost everything – chicken, salad, shakes etcetera. Brightly coloured vegetables like cabbage, broccoli and spinach help reduce the aging process. Avoid any food item that will generate fat in you. Aging is a natural phenomenon and it cannot be stopped; only thing we humans can do is channel the process and alter the way it affects us. The knowledge of right and wrong do is something that reflects in our appearance; so start now for a better reflection.